FLORENCE, Ala. – High School math and science teachers will soon be on the University of North Alabama campus for a content-intensive summer institute. 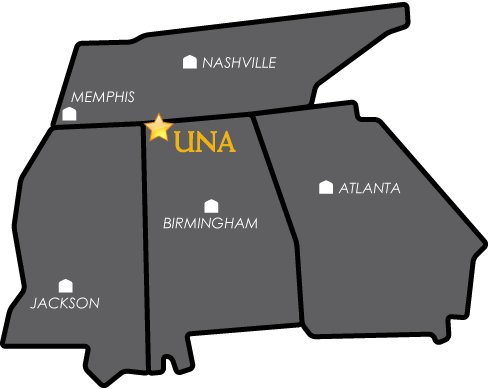 UNA’s math and computer science faculty are hosting the two-week professional development event sponsored by a math/science partnership grant through the U.S. Department of Education. The idea behind the collaborative partnership is to teach mathematical reasoning through a computer programming project. With this in mind, event coordinators chose to run the summer institute in conjunction with UNA’s Summer STEM(Science, Technology, Engineering and Mathematics) Camp for high school students so that teachers and students can work together one day each week, exploring mathematical reasoning through computer programming.